49 mins Don't Climb Onto the $80+ Oil Price Greed Roller Coaster, Please. The oil market has been tightening rapidly this year, due to OPEC+ cuts taking supply off of the market, outages in Iran and Venezuela, and a slowdown in U.S. shale. But forthcoming regulations from the International Maritime Organization (IMO) could provide an additional jolt, particularly as global inventories decline against the backdrop of a tightening market. There are important differences between today and the price spike of 2008, Bank of America notes, including greater spare capacity in 2019, an additional 1.1 million barrels per day (mb/d) of refining capacity set to come online, and the expectation that U.S. shale could quickly add supply in the event of higher oil prices. “Still, unlike the gradual tightening in diesel markets of 2007/08, the world faces a major one-off jump in distillate demand,” Bank of America argues, referring to worldwide regulations on marine fuels set to take effect at the start of 2020. Bank of America says that the regulations could push up distillate demand by 1.1 mb/d year-on-year, which comes on top of the 0.5 mb/d annual trend growth rate, and also on top of the cyclical high during winter. Higher distillate demand could push up crude oil prices as refiners race to turn crude into distillates. “About 60% of the average crude barrel can be turned into distillate with the right refining toolkit. But that figure drops below 50% for heavy oil, potentially curbing supply,” Bank of America wrote. The bottom line is that there is a chance that oil prices rise much higher this year. “In our view, the risk of a Brent crude oil price spike is significantly higher than options markets suggest,” Bank of America warned. The investment bank was skeptical that U.S. shale could fill the gap, at least in the short run. Capital discipline has already led to a slowdown, and the industry could need higher prices for longer-dated futures in order to really incentivize new drilling. 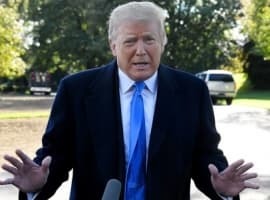 In any event, it will also take time for the industry to respond, which means that “rising oil prices today will only begin to affect oil production in 4Q19 and 2020,” the bank noted. As such, while U.S. shale could add new supply and keep global oil prices in check, it may arrive a little late to avoid a price spike. Bank of America said that the Brent options market only implies a 2 percent chance that Brent spikes to $100 per barrel. The bank says everyone might be underestimating these odds. The “massive surge in distillate demand” later this year could “potentially push oil prices above $100 per barrel,” the bank concluded. We shouldn’t overestimate the impact of the International Maritime Organization (IMO) on oil prices. If oil prices are headed upward, it is because of a convergence of bullish influences currently at play such as a strong global oil demand adding 1.45 mbd this year over 2018, rock solid Chinese oil imports projected to hit 11 million barrels a day (mbd) this year, positive data about the Chinese economy, a slowdown in US production and a tightening the global oil market caused by OPEC+ production cuts. If these bullish influences stay with us this year, the chances of oil prices hitting $100 a barrel are credible. Still, bullish influences in the global oil market will have to battle some bearish factors at play, namely the failure of US sanctions against Iran’s oil exports and Venezuela’s ability to keep some sort of normality in its oil production despite US sanctions. 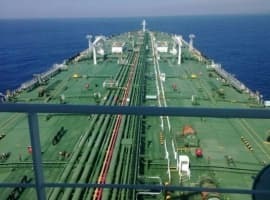 The Trump administration has no alternative but to renew the sanction waivers it issued last year to the eight biggest buyers of Iranian crude when they expire in May or issue new ones for no other reason than to use them as a fig leaf to mask the fiasco that US sanctions have failed and also the fact that the zero exports option is a bridge too far.